Turner Emerging Consumers represents the company's young adult and kid targeted networks -- Cartoon Network, Boomerang, Adult Swim and truTV. 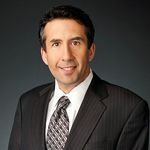 Jeff Grant is responsible for all aspects of research for the four networks, as well as their respective ad sales divisions across linear and digital platforms. This includes a focus on generational research on media consumption among Millennials and Plurals, the two most diverse generations in our history.